Here’s a guide to make your Ho Chi Minh trip more exciting. 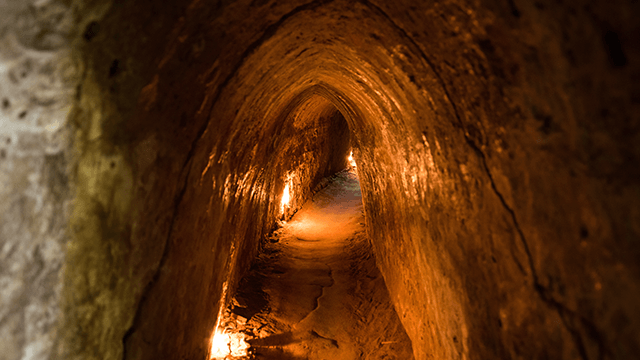 As the Vietnam War took place in Ho Chi Minh, formerly known as Saigon, the city gained various heritage sites and artifacts from that period, such as the extensive network of tunnels in the Cu Chi district. You can crawl through some parts of these snaking underground passages to get an idea of what transpired there in the decades-long war. You’ll find European influences in Vietnam, which was colonized by the French in the mid-1800s and only gained independence in the 1950s. 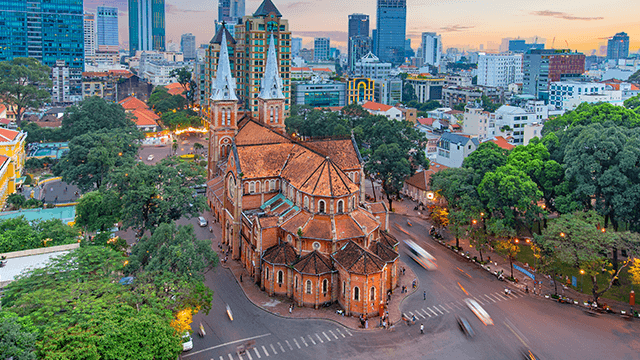 The Saigon Notre-Dame Basilica and the Ho Chi Minh Central Post Office are some of the city's marvelous European-style structures you'll enjoy taking photos of. There are also numerous temples to explore in the area; make sure you follow the dress code! 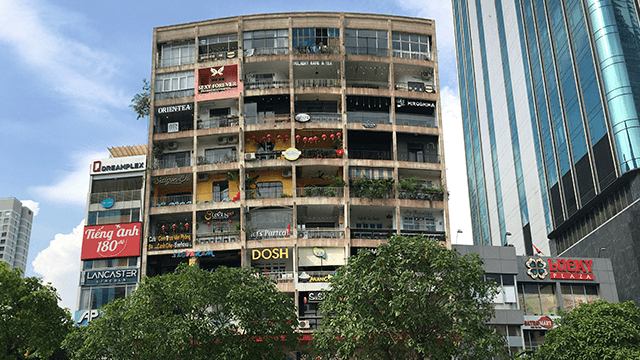 Visit the Café Apartment on Nguyen Hue Street for the coffee, and stay for the trendy shops and boutiques that light up the decades-old nine-floor building. You’ll find not just coffee, but also books, clothes, and food. Unwind in your coffee shop, salon, or co-working space of choice, and don’t forget to take a photo of the façade at dusk. The way the neon signs and yellow light bulbs subtly set the graying structure aglow will score you hearts for days. The Saigon River stretches from Cambodia to South Vietnam. Cruising the river will give you a sweeping view of ancient landmarks and the modern city skyline. The cruise includes a sumptuous feast with a musical performance or a traditional Vietnamese dance or puppet show. What better way to cap off the night than with a margarita or a cosmopolitan before a stunning view of Ho Chi Minh? 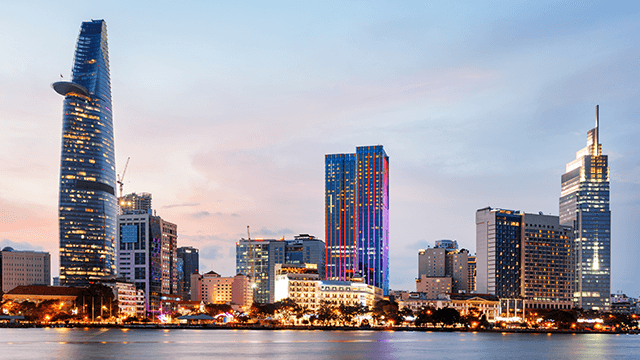 Make a pit stop at some of the city's most popular rooftop bars, namely Saigon Saigon, Chill Skybar, and EON Heli Bar. Traveling on a budget? Here’s the cheaper alternative: Pham Ngu Lao Street. Head there for hearty conversations with backpackers and some locals over cheap bia hoi (a popular local beer). 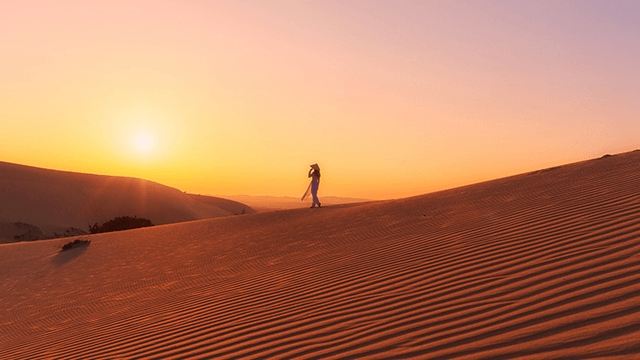 In Mui Ne, a quiet fishing village developed into a beach resort town on the east of Ho Chi Minh, you’ll find a vast expanse of white and red sand dunes. You can rent a sled or a buggy to experience coursing through the slopes, or fly a kite to quietly enjoy the breeze. Be sure to catch the sunrise or the sunset, so you can—maybe for once—have a clear and full view of a colorful, dramatic sky. Remember to stay hydrated here! 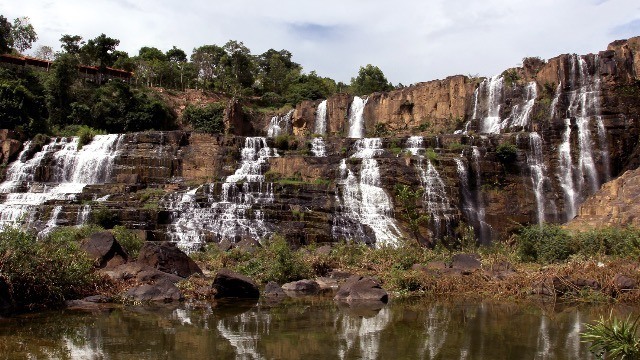 One of the largest falls in Vietnam, Pongour Waterfalls in Da Lat City is captivating from all angles, where you can highlight the cascading water, the pool, the terraced and rocky landscape, or the lush greenery in your photos. The flow of water is being controlled by a dam, so you won’t feel the full force of the waterfall. Instead, you’ll experience its gentleness and poeticism—a welcome counterpoint to the many large rocks in the area. Finally, make it your goal to climb to the top of the falls—you'll be rewarded with a fragrant flower garden. 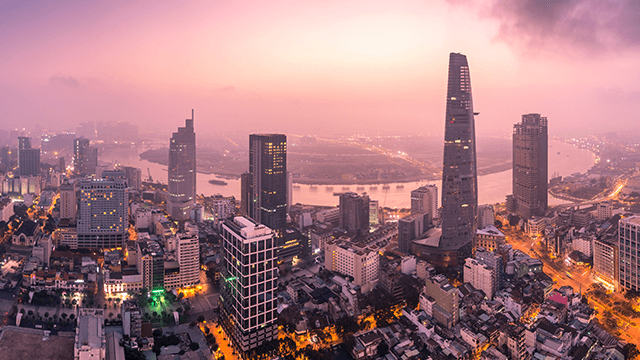 To get to Ho Chi Minh, simply book a direct flight from Manila. With AirAsia's promo fare, you can visit Ho Chi Minh for only P2,370. Book your tickets here from May 28 to June 3, and travel to the Vietnamese metro from May 28 to October 31, 2018. For more information, follow AirAsia on Facebook.